The worlds energy market is experiencing its largest and most important shift in the modern era and is changing the way we live and travel on the back of shifting public values and government policies in an attempt to tackle climate change. In this transition to a low carbon future, who will be the big players that will become the next global energy behemoth? From resource companies that are producing the raw materials, to the companies that are building the next generation of personal and public transport, wind turbines and solar panels, energy storage systems and everything in between. The acceleration of technology has allowed new technology to be refined and commercialised. There are so many opportunities to invest, so where should you be looking? 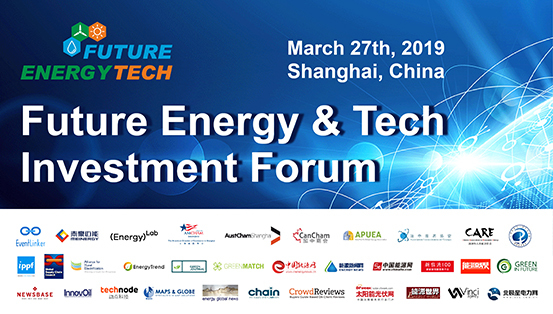 For members outside of China or without Chinese payment options, please use the discount code "APUEA2019"
at: https://www.eventbrite.hk/e/future-energy-tech-investment-forum-tickets-53530979601, and we can accept PayPal or bank transfer.